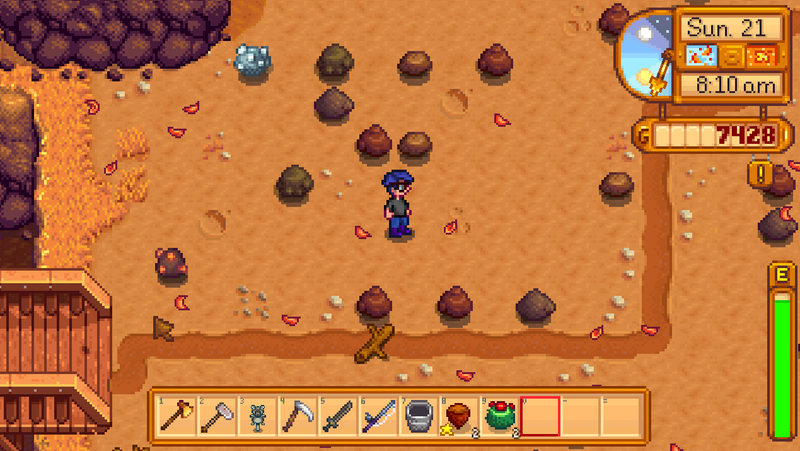 Ever get tired of trudging into the Mines whenever you want some precious Ores or Minerals? Then look no further than the Quarry. Located in the northeast of Stardew Valley, the Quarry provides a nigh-endless supply of rocks for you to chip up with your Pickaxe… assuming you can reach the place. Complete the Crafts Room scroll in the Community Center. If you manage to satisfy the requirements for all six Bundles the Junimos will fix the bridge for you. All of these Bundles revolve around foraging, so you’ll need at least a full year of exploration and item collection to get everything you need. Buy the Bridge option from JojaMart’s Community Development Form. The repairs cost 25,000 gold. To trigger the repair job you need to first buy a JojaMart Membership, which in and of itself costs 5,000 gold. Doing so will remove the Community Center from the game. The Quarry is perhaps the most simplistic side area in the game. It consists of a large, flat plain that’s absolutely teeming with rocks. 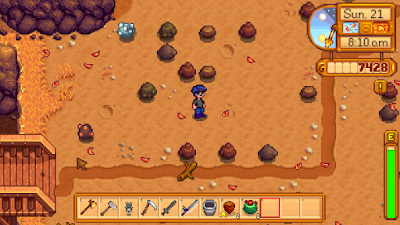 Many of these rocks will bear the same Minerals or Ores you would normally find in either the Mines or the Skull Cavern. You can also find a minecart in the top-right corner of the Quarry, and, assuming you’ve also unlocked this Community Center / JojaMart improvement, you can fast travel to the Quarry from the Bus Stop every day. The problem? The Quarry does not reset with the same rapidity as Stardew Valley’s two dungeons. Rocks will reappear here every day, but they do so at the same speeds as any other outside area of the game. You may need to wait up to a month for the whole Quarry to fill up again. Still, you’re best off completely emptying the Quarry whenever you visit, as this increases the chances that a blank spot on the map will be filled by a precious resource. Still not as good as entering the dungeons, but there’s significantly less hassle as well.